Now that you have a digital SLR, you’ll want to familiarize yourself with how to use it. Before you unleash your creative mojo, you’ll need to have an understanding of your camera — what the controls do — and learn some fundamentals. This class is a great kick-starter for the beginner! Join us in our next workshop this coming Saturday, April 5th, for an introduction to digital photography. Register here and don’t forget to bring your dslr camera. 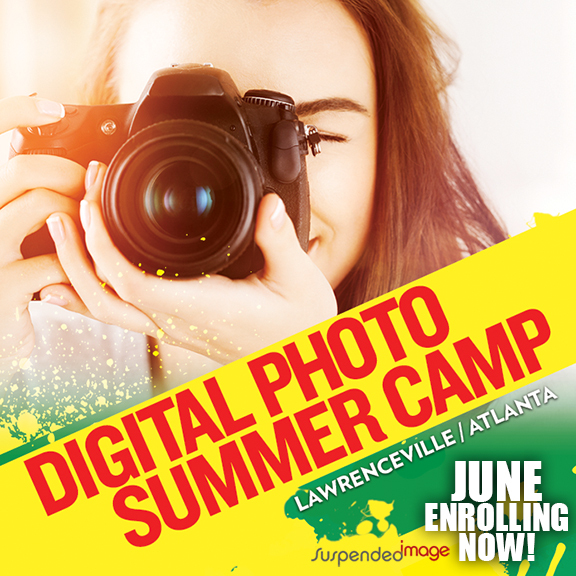 A digital photography camp unlike any other! This camp is for ages 12-17. • Basics of operating your camera. Class size is limited to 8 students so there will be one-on-one help as we progress throughout the week. Each student is required to bring his/her own DSLR camera with any lenses they want to use and a full size tripod.